Florida, which is famous for the “stand your ground” case involving George Zimmerman and Trayvon Martin, made headlines again when a former police officer shot and killed Corey Jones. The “stand your ground” defense itself has come under fire ever since the Zimmerman case came under public scrutiny. Now another stand your ground case has emerged redoubling racial tensions in an area that already evokes very strong emotions. This case involves a former police officer who has since been fired by the department. The officer approached Corey Jones in street clothes without identifying himself as a police officer. Jones, who had a concealed carry permit, believed the officer to be a robber and pulled his gun. The officer fired on Jones, killing him. The prosecuting attorney claims that the officer never identified himself as an officer. He says that a recording of the incident corroborates this. Meanwhile, the officer’s defense attorney says that he did identify himself as a police officer. Who the jury believes on this point can have a major impact on the verdict, if the case goes to trial. Also key are inconsistencies in the officer’s story and his failure to follow any kind of police protocol governing how such altercations should be handled. While the defense for the officer is clearly attempting to demonstrate that the shooting was justified because the officer believed he was in “imminent fear for his life”, there are limitations to the stand-your-ground defense in Florida. Stand your ground laws simply clarify that those who feel as though they are in imminent danger can lethally defend themselves against that danger. However, they cannot provoke the danger that they’re defending themselves from, or so the prosecution will argue. In around half of the states in the U.S., the law mandates something called a “duty to retreat”. That means that if you find yourself in imminent danger, you must first attempt to escape that danger before applying deadly force. Generally speaking, even in “duty to retreat” states, there numerous mitigating factors. Stand your ground laws aren’t so much laws in and of themselves as they are a full repeal of the duty to retreat. 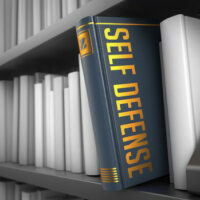 Despite the name, stand your ground is not technically an affirmative defense. The stand your ground law actually prevents certain cases from going to trial. The officer’s lawyer is attempting to dismiss the case on the basis of stand your ground. This essentially shifts the burden onto the prosecution to prove that the case should go to trial. Typically, that burden falls to the defense. However, if the case does go to trial, the defense will again claim that the shooting was justified self-defense. They will further claim that the defendant was not required to retreat. The issue is that the officer seems to have provoked the incident himself. Had the officer not approached Corey Jones in plainclothes without identifying himself, Jones would likely still be alive. The verdict is likely to elicit strong emotions in a country that has seen racial tensions fester over the past few years. If you have been charged with a crime, we can help. The Skier Law Firm, P.A of West Palm Beach is one of the most respected criminal defense practices in the area. If you’re in trouble with the law, give us a call and we’ll help resolve your case as painlessly as possible.